Trade Show same day sign printing is sometimes necessary when you need a banner stand or sign and something happened to your graphics or you need an addition to your presentation. 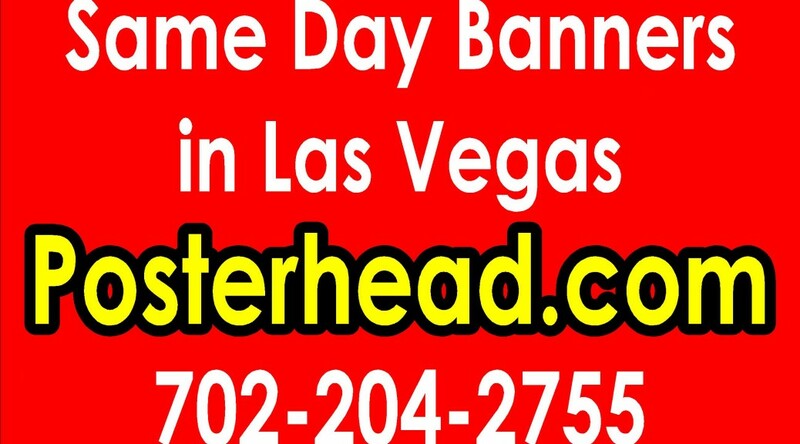 In cases like this, there are signs stores in Las Vegas that can assist you in obtaining those signs and banners printed in the same day. During the course of the trade show season in Las Vegas, there are a variety of reasons that causes graphics to be replaced. One of the most common reasons is that the shipping company simply did not deliver the graphics because of weather conditions or being shipped to the wrong location. Other reasons include receiving your signs and banners but upon opening them, you discover that they are damaged and cannot be used. What do you do ? Trade show same day sign printing can get you those sing made. many sign stores in Las Vegas cater to the trade show industry. They are located near the Convention venues and have the necessary equipment to print and assemble your signs and banner stands. The sign industry has come along technologically wise and have large format printers that can print at very fast speeds with great quality. These large printers are using environmentally friendly ink that can produce life like colors and have added more colors to the printers to mix and match to get the perfect colors. At printing speeds up to a couple of hundred of square feet of signage an hour, these large printers are fast by any standard. Trade show same day sign printing can be found at signs stores that are adjacent to the Las Vegas strip, where most of the convention venues are located. With easy access to pick up or have your signs delivered to you ( UBER and Lyft are a fast economical courier service), getting those signs made in one day is usually not an issue.